The remote Brazilian Island has a ban on childbirth so expecting families are requested to travel to mainland to give birth to their child. 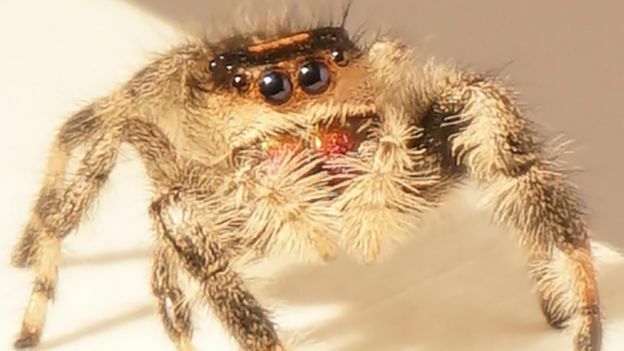 The small spider, nicknamed Kim, can leap six times her body length from standing start compared to humans who can only jump 1.5 times their body length. We confide in the food industry; those who put products on our supermarket shelves. Yet, how can we trust them? The industry is getting harder to trust everyday. Mars (a well-known brand that distributes chocolate all around the world) has lost our confidence. In Germany, a woman found a piece of red plastic in her Snickers. It has affected 55 countries, including Britain. Mars’ corporate affairs coordinator has said that it is “unknown” if other chocolates from the production line were affected. It took eleven weeks for this problem to be found out. How can we depend on these companies to give us safe food? How can we feel secure eating this food if the companies don’t even know what goes into their products? How can we rely on these brands?